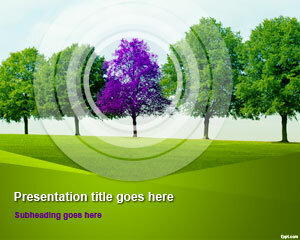 Free tree line PowerPoint template has a spring theme, with trees that are planted in line. There is an aura about the tree in the center, which has purple leaves, and gives a vibe of comfort and ease. 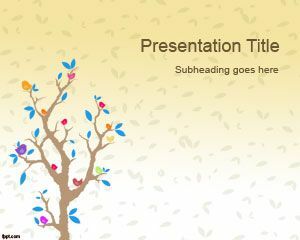 Free PPT themes are useful in showing that trees are one of the most beautiful and useful products made available by nature. The survival of mankind hinges on greenery and the number of rain forests, both of these are made possible through the presence of trees. 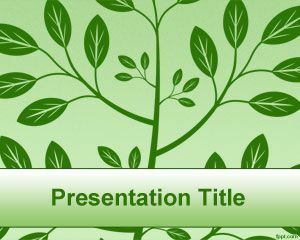 Educate others about how trees are used for shelter, food, photosynthesis process and material through free tree PPT template, and Tree with leaves PPT theme. Trees are always in harmony and it is natural to lose sight of their importance. Trees can be used as decoration, as there are about 700 species of trees that are native to North America. Much can be said about how you can decorate your backyard, and the front of your home with the help of ever green trees. Share your tree decoration ideas with the help of free tree line PPT slides. Some tree enthusiasts like to have a comprehensive leaf collection. 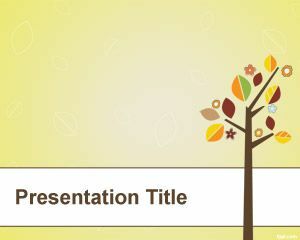 Make a collection of your own, and write down names of trees, along with where you found each through tree line PowerPoint theme. 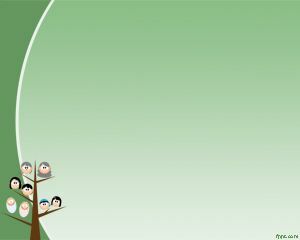 Share your findings with others, and be amazed at how diverse your culture is, and how many different tree species are found in your city alone. 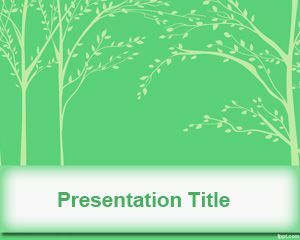 Free tree line PowerPoint template is compatible with latest and previous versions of Microsoft PowerPoint, iWork, and OpenOffice Impress.